What's the cost of running a WordPress site? WordPress is one of the most popular CMS systems around for as good reason-it’s free and highly scalable. You can start with a small website, simple theme and grow it to include extensive functionality. The process is supposed to be as easy as plug and play, however the reality may turn out to be a little different. While this is a good thing for expert web developers who benefit from an ongoing demand for their services it’s not always’ the way to go for small businesses that want a fully managed solution at a fixed cost. Part of the reason for discussing this very important topic is to give SMB’s a road map of what the process looks like and the associated costs in time and money. Keeping in mind that for any SMB, the website is an important business tool for driving revenue and growth and as such having an upfront understanding of what you can expect is vital. If you're looking for a WordPress price comparison or WordPress pricing table there are many resources out there that give varying rates. The total cost of ownership is made up of a number of factors and so I have tried to include the most important ones. Domain: If you’re running a company website you’ll certainly need one of these. Domains are easy to purchase at anywhere from around $12/year and up. The challenge is choosing the correct domain name. So far, with no developer or designer fees factored in you’re looking at anything from $250 + on the low end moving up to over $1000. How much does a designer or developer cost? This can range from an hourly basis to fixed cost. Hourly developer fees can run from $30/hr or $500 fixed. It depends and costs for an SMB can easily hit the $1000 to set up a basic site with ongoing maintenance. So a conservative estimate of WordPress pricing works out to be anything from $250+ for the year not including designers or developers that you may need to do customization. How many hours will you really need to work on your site? Time commitment to putting a small site together yourself includes learning the CMS along with understanding basic design and good SEO practice. Don’t forget to factor in maintaining and updating your site regularly. On WordPress this is a must as there are always updates being made to the system. Getting the process wrong when building a WordPress site can result in you just ignoring the site because making design or other updates become difficult and time consuming. The flip side of this is hiring a designer or developer to do it for you which is very costly. So for many SMB's the process of setting up and running a WordPress site may be a hurdle to cross. It's not as "plug and play" as it's made out to be and certainly not the free ride everyone thinks it is. There is both alot of effort and costs involved. The upside is that once you have it done right your website could be a huge success. 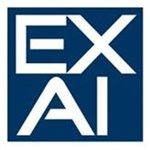 In closing, I would like to suggest that aspiring SMB's take a look at starting a website with a fully managed solution like Exai that costs no more than $15/month including plugins,storage, backup a free gallery and templates.